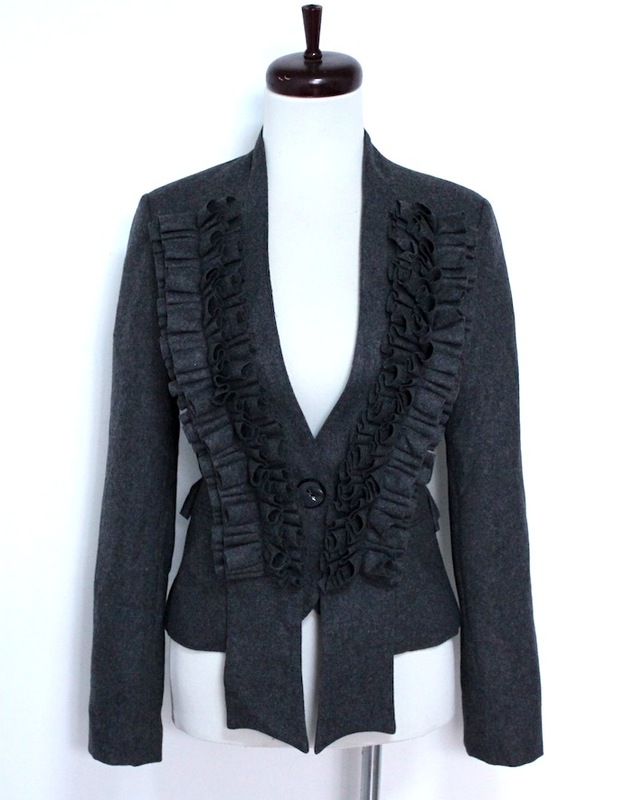 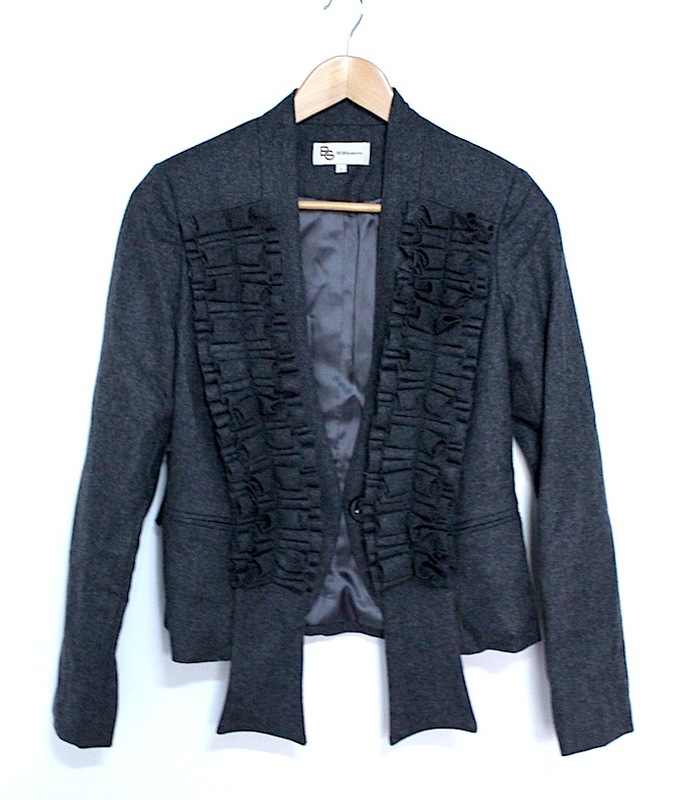 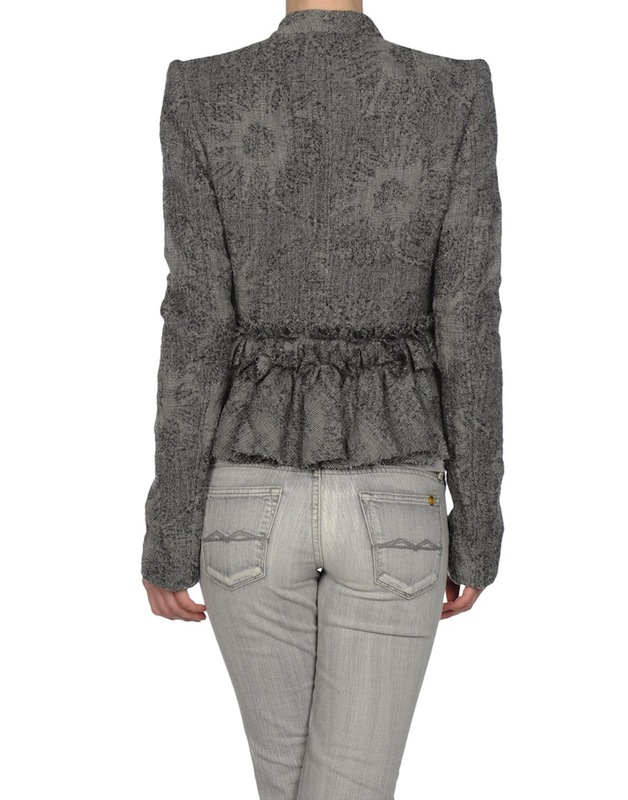 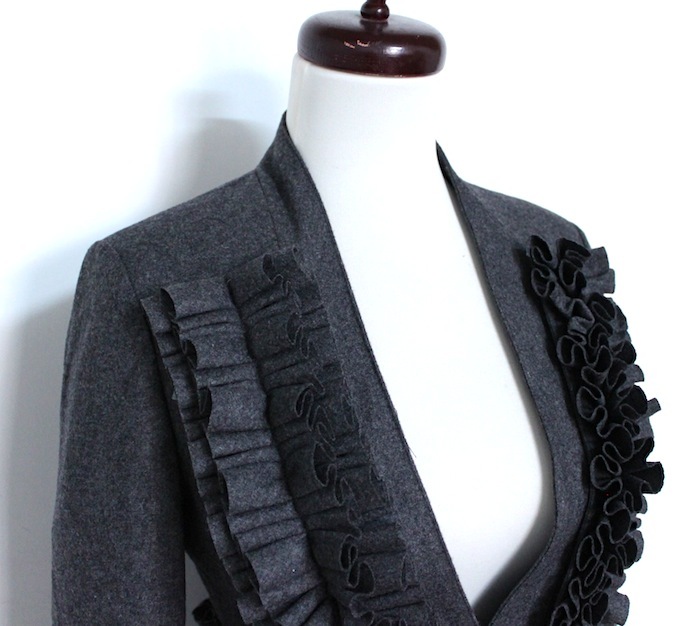 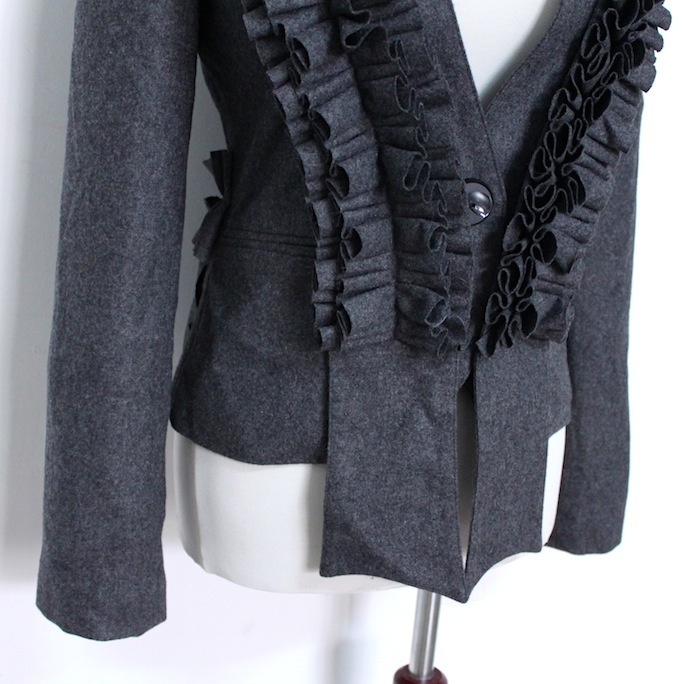 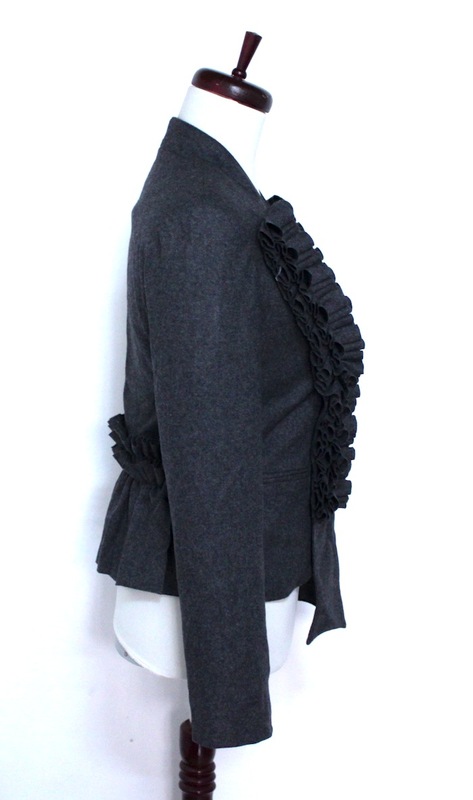 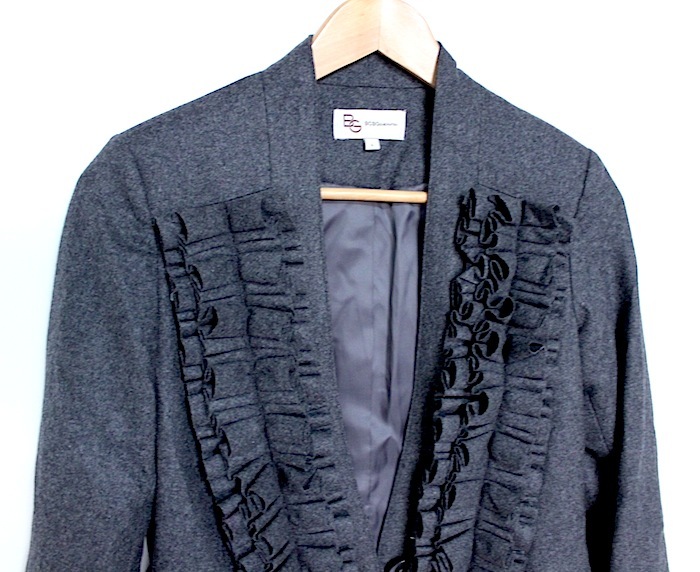 Black and white brushed tweed jacket from Givenchy with a small stand collar and V-neck with raw edged ruffle detailing. 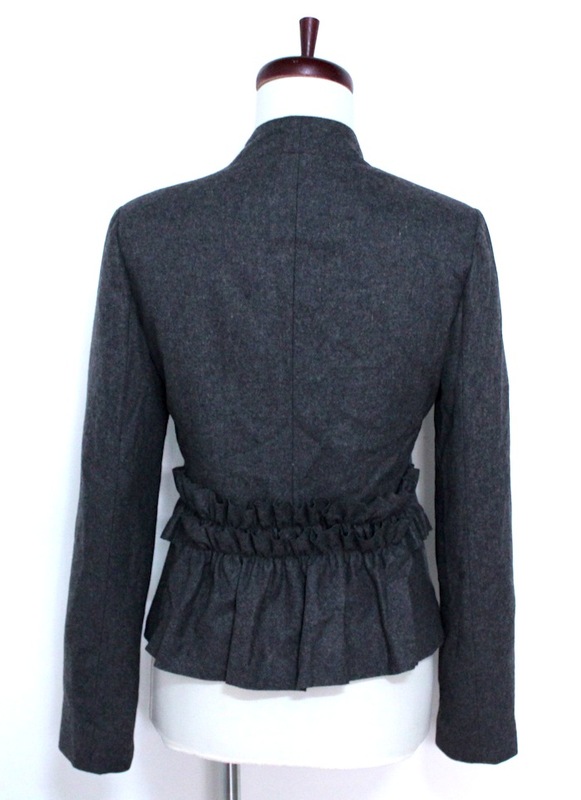 The jacket features a tab and hook/eye fastening, two concealed front pockets and thick shoulder pads. 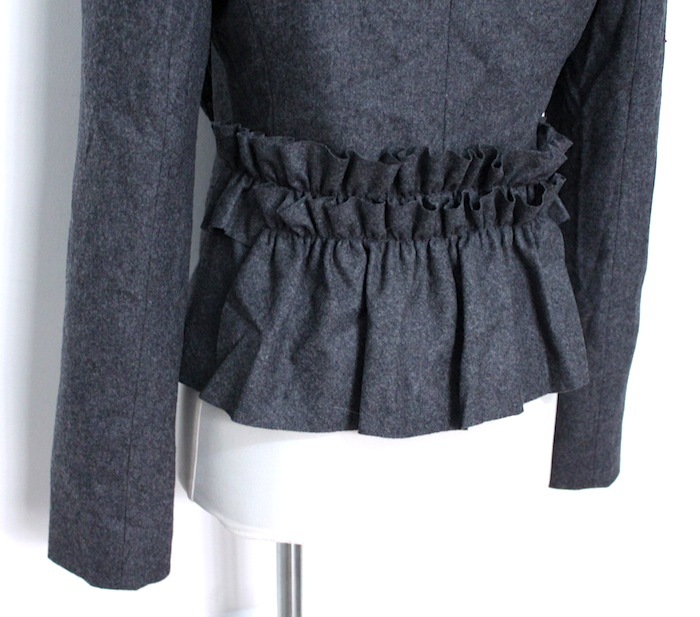 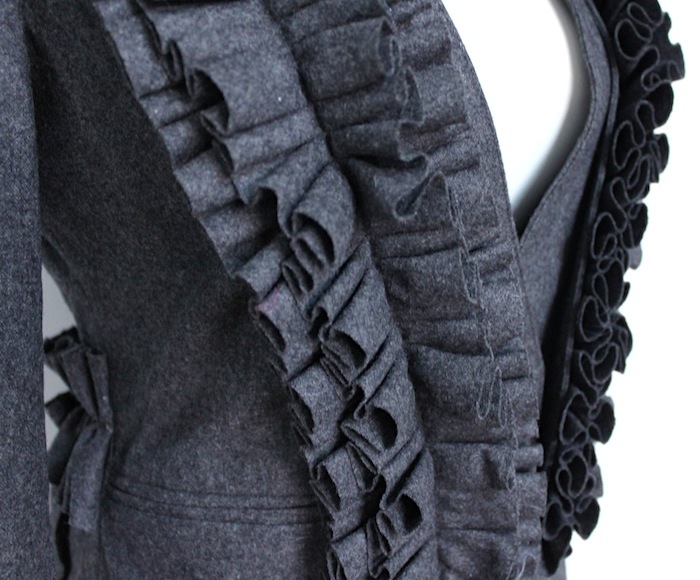 At the back is a vent with raw edged ruffle detailing. 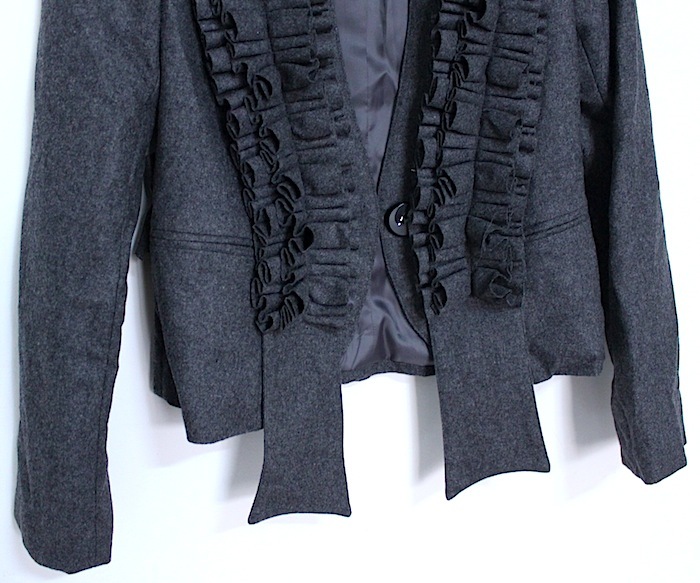 The jacket is fully lined.